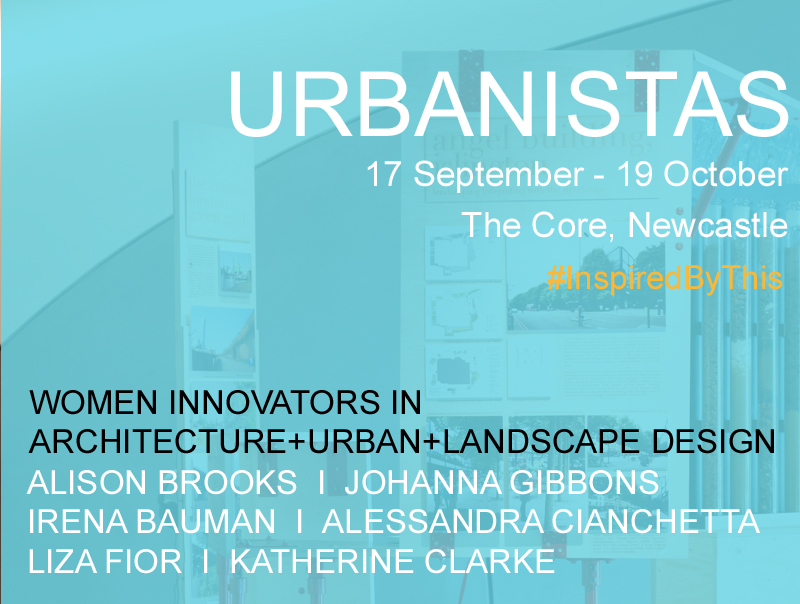 Urbanistas is an exhibition celebrating innovative practice; in particular the vision and skills of six leading women practitioners working pro-actively in UK cities, in the fields of architecture, urban and landscape design and planning, reinventing how we design our urban environment and housing models to create beautiful, coherent, integrated and resilient cities. Alison Brooks. Alessandra Cianchetta. Irena Bauman. Johanna Gibbons. Liza Fior. Katherine Clarke. Urbanistas exhibition was comissioned by Roca Gallery London, curated by Lucy Bullivant, and brought to Newcastle by Igloo Regeneration, The Core, Creative Space Management and Northern Architecture. Supported by RIBA North East.